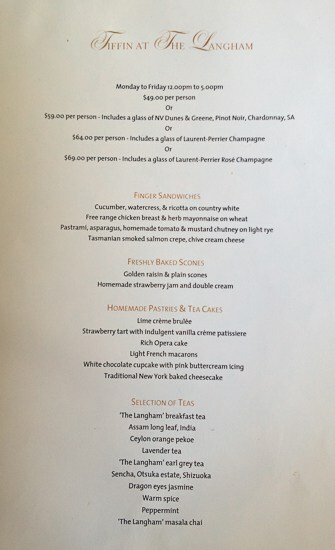 The Langham Sydney has delicious and delightful high teas on offer daily. In school holidays themed high teas for kids are run. Here’s a post about one my daughter and I enjoyed. 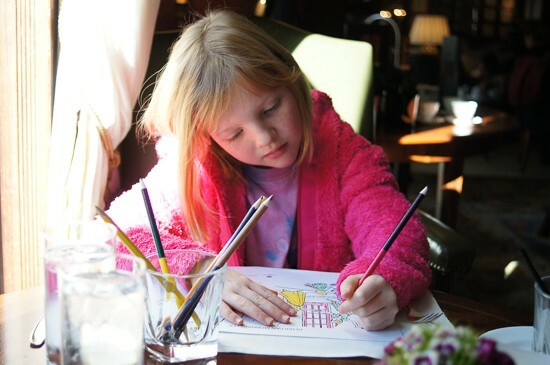 Click here to find out what’s currently on at The Langham. ‘I know exactly what you mean,’ I said, ‘lets run away and do something just for the girls. So we did. 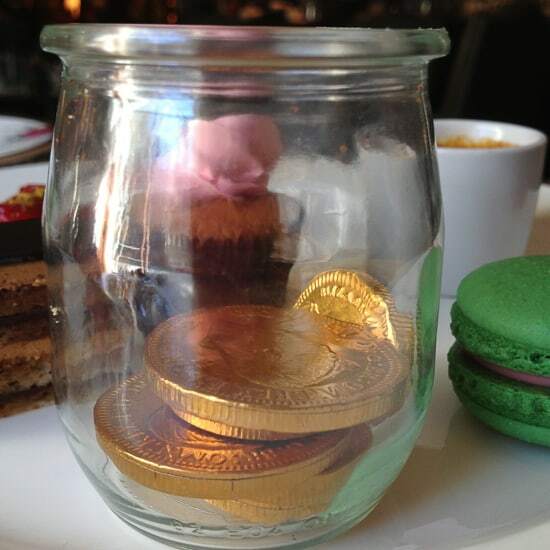 We’d been very kindly invited to a Peter Pan Morning Tea by The Langham in Sydney’s Rocks. This grand hotel is housed in a beautiful heritage building. It’s all 5-star opulence with lashings of old fashioned service and style. 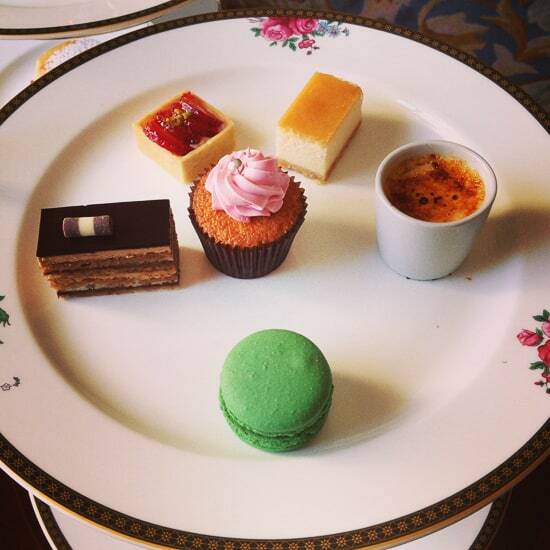 Like its namesake in London, The Langham puts on a marvellous high tea. At The Langham this is known as a Tiffin Tea, and is served daily. You can have your tea leaves read at weekends there. The children’s morning tea is a feature of each school holidays and it really is a treat. Each children’s morning tea in school holidays has a different theme. 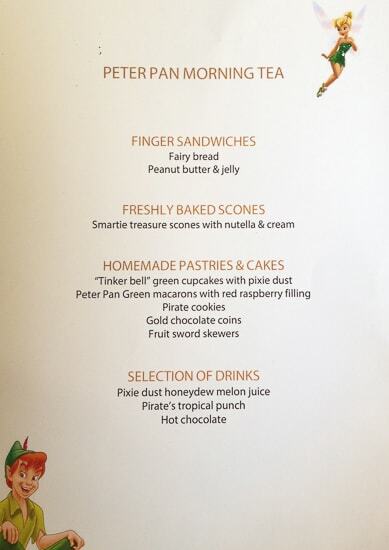 We experienced the Peter Pan Morning Tea, with pirate themes for the food, then a reading from the famous book. The children each received a copy of Peter Pan to take home too. But it’s not all about the children, look at this platter of tiny treats which yours truly scoffed, in a ladylike manner of course. The table settings are just a delight. What a sharp contract to our boy-filled home in school holidays. The children can colour in as they wait for their morning tea to arrive. 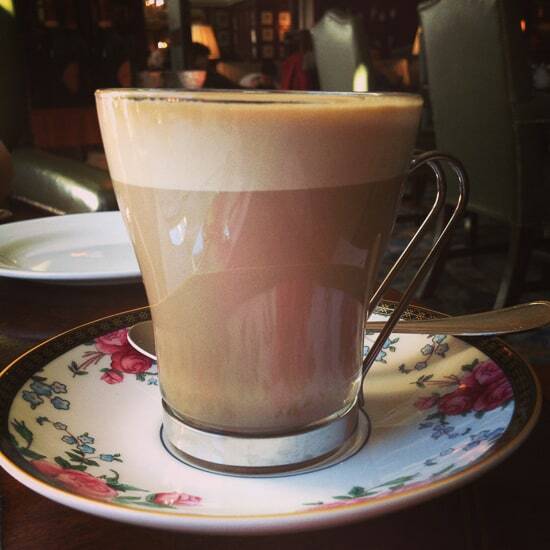 A cup of coffee in gorgeous surrounds – delightful. The tiffin tea for adults, major treats! 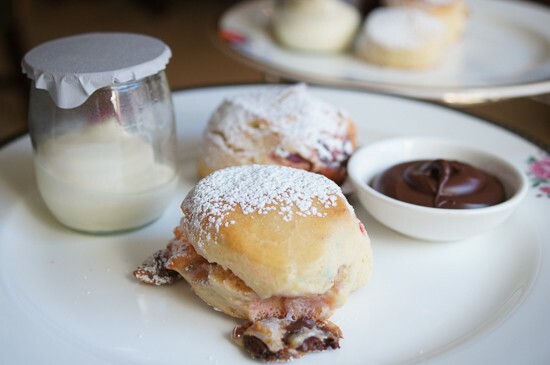 The Smartie treasure scones with Nutella and cream – too good! 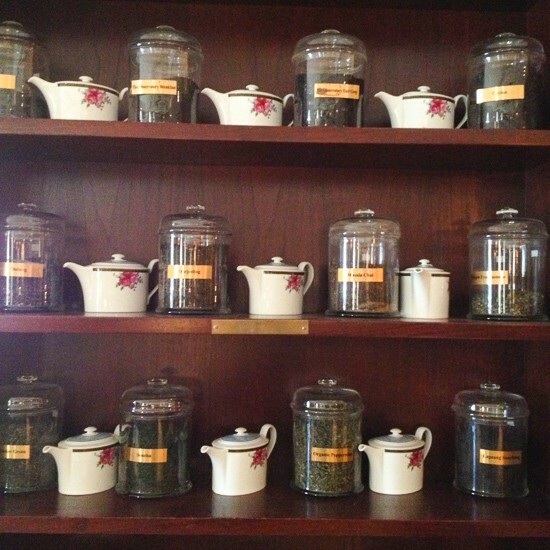 I loved this wall feature in the restaurant, would love to try each tea! Look at the gorgeous decor in the bathrooms – wonderful attention to detail in this hotel. 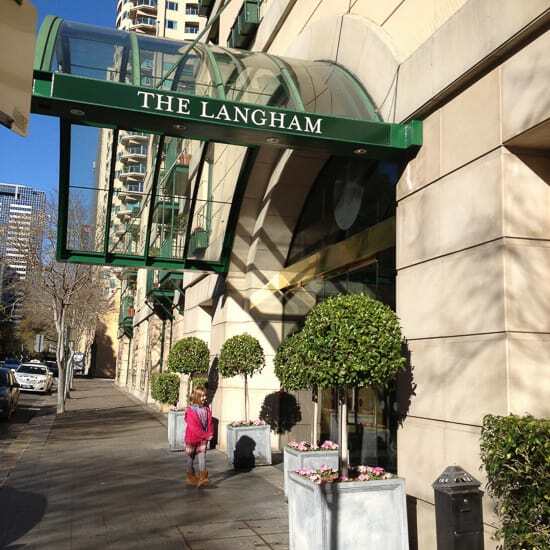 You can read all about The Langham Sydney on its website here. 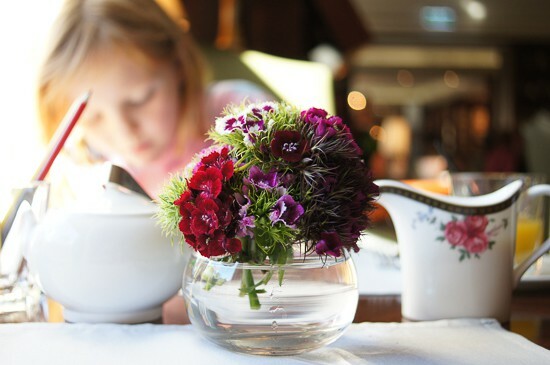 Costing $30 for children and $49 for adults, morning tea at the Langham is a terrific treat. It’s one that will fill you up, so no need for more meals on the day that you visit – a cost saving! Many thanks to The Langham Sydney for hosting Minnie The Minx and I. We very much enjoyed some mother and daughter time, and escaping from rugby-mad twin and great big hairy teenage brothers. 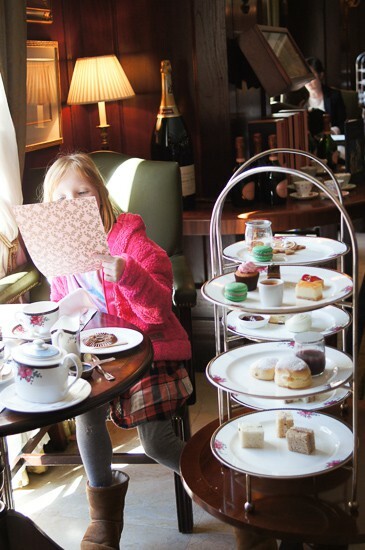 Have you enjoyed a high tea or morning tea these school holidays? Would you take your sons? 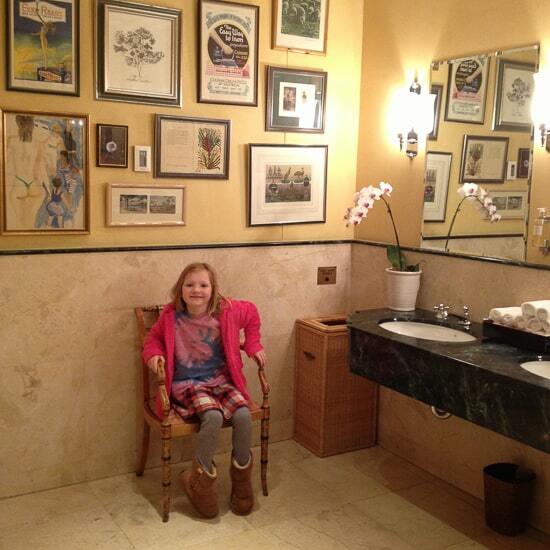 Yes, that loo is grand. It’s doubly hard when two of our boys have ASD/ADHD, they really are so… boyish… she’s so settled by comparison. A delight to spend time with… usually! I think I’m in love. Oh yum! I would definitely take my little girl here for a girls day! Maybe rounding up some aunts and nanas… Not a chance would I take my little boy, at least not in the foreseeable future! Maybe when he hits twenty-one? Twenty-five? LOL, I can’t imagine my boys ever being couth enough to take here. But I was deeply impressed to see a Mum there with her four extremely well behaved children, including boys. Was taking notes. How very very civilised. It looks like a fabulous way to spend a morning with a special little girl. We have some shocking days… but this wasn’t one of them… a great treat. I think I became a really boysy mum and she’s a very girly girl… she’s made me more girly over time, but what she really longs for is a sister… but no can do. oooh so excited, we are going on Friday for The Preschoolers 4th birthday! What a treat. Apparently kids are encouraged to dress up and there is a storyteller too? Yes, some of the little girls had marvellous dresses on. A lady reads from the story, not a huge excerpt but a chunk and then gives books to the kids – lovely. Next time we’d dress up more, the hotel is very grand indeed. Oh, that is just divine. I wonder if Mr9 would like it. Not just for girls, I think! Visiting via the Rewind.